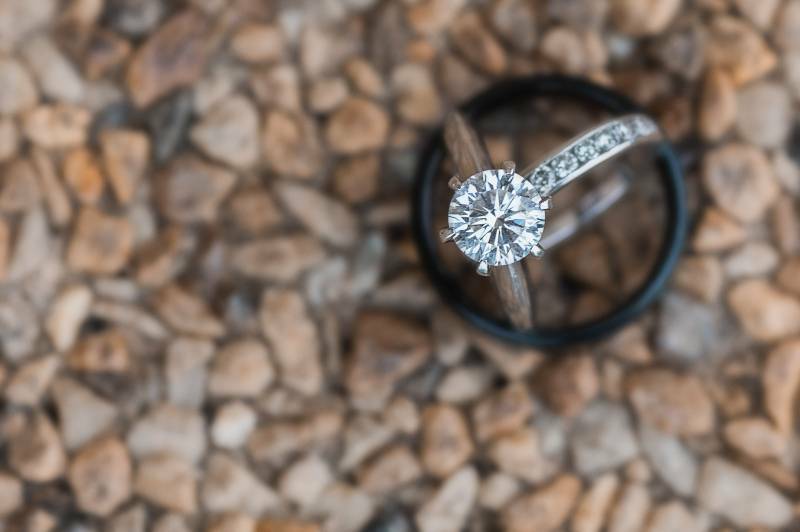 Oh how sweet and simple elopements pull at my heartstrings! 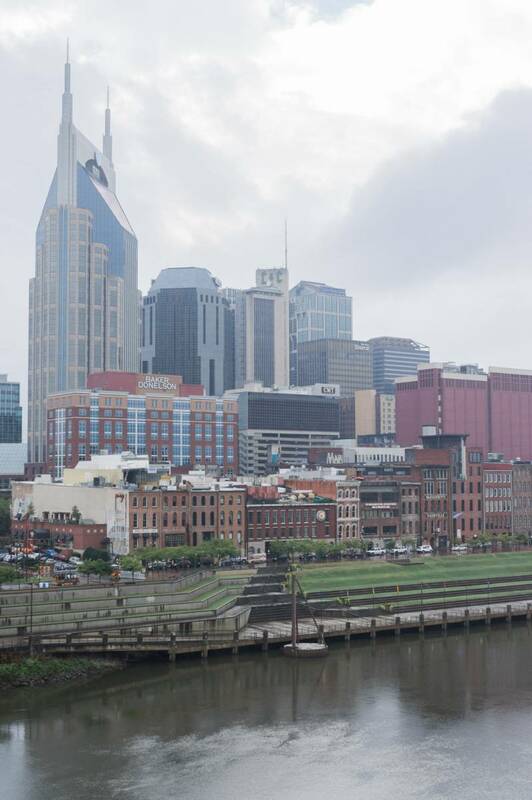 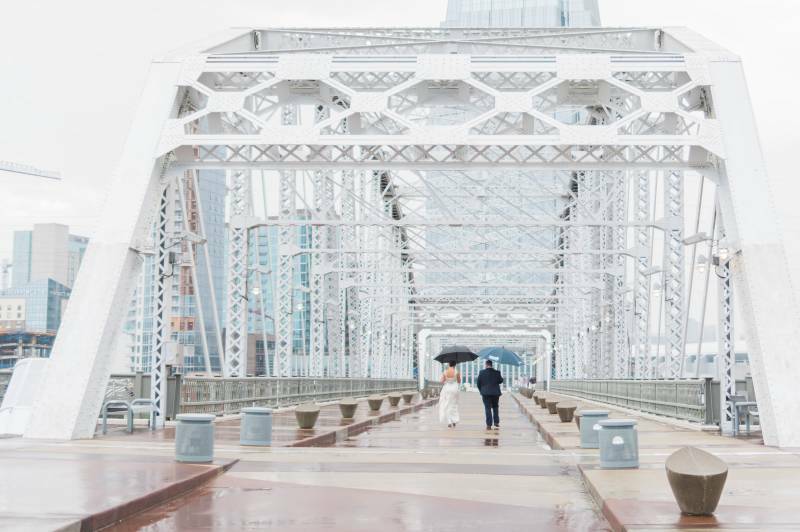 Which is why I absolutely love Alexa + Zack's elopement on the Pedestrian Bridge in Nashville, TN. 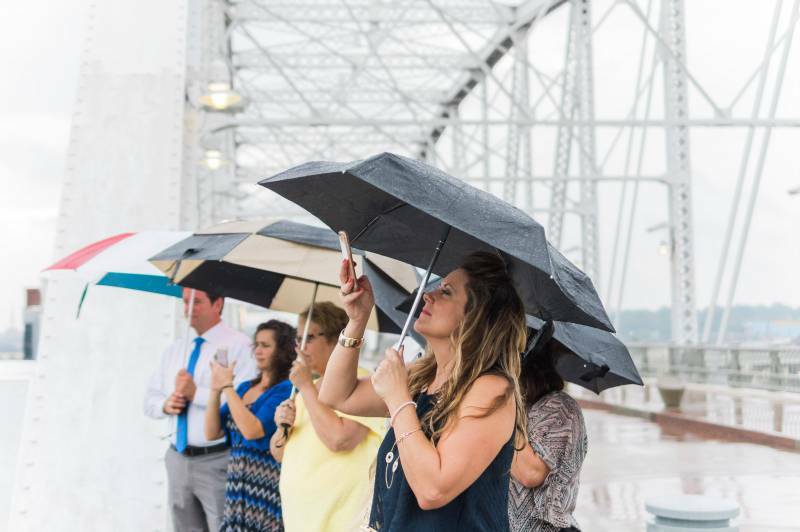 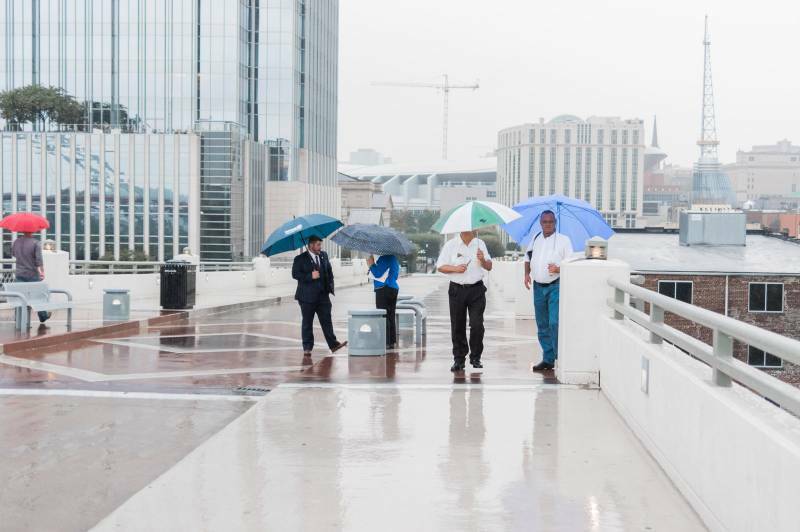 Despite the rain, Dixie of Lion & Lark Photography captured all the emotion of their day as the umbrellas of a small group of friends and family gathered to watch them wed on the bridge. 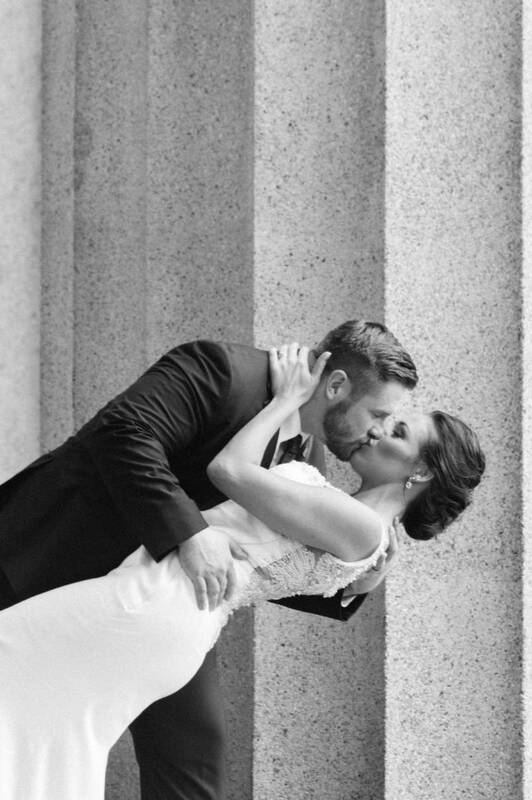 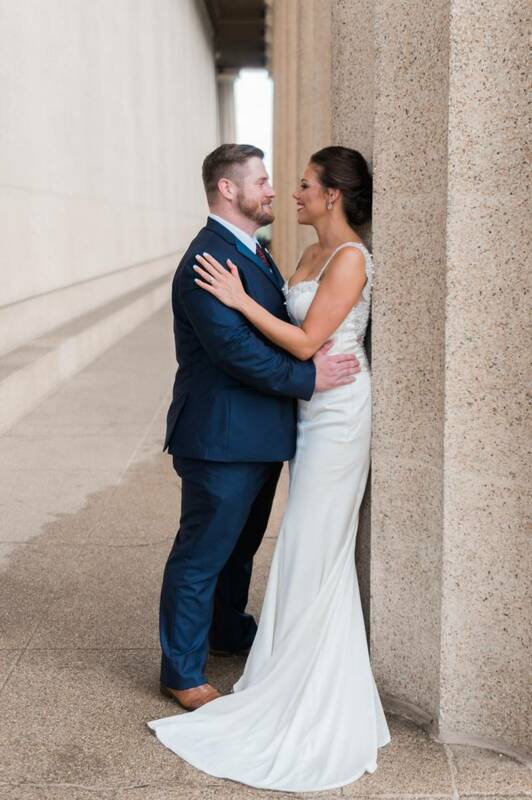 Their love story is one of a kind and I can't wait for you to read it below! 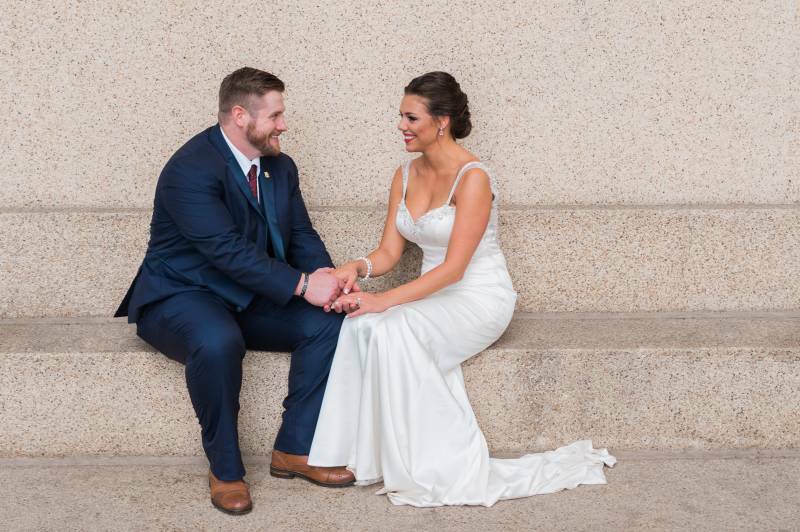 From the photographer, Dixie of Lion & Lark: They laugh when they say it was love at first sight, but for Alexa and Zack, that's exactly what it was. 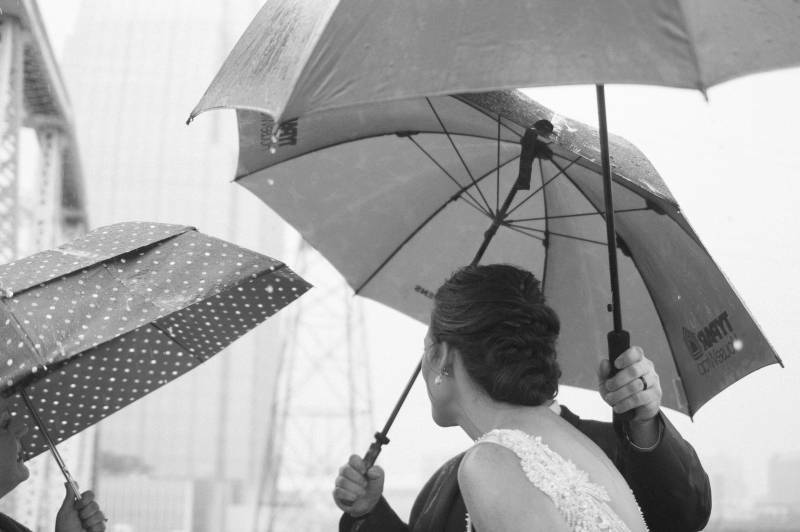 Alexa's friends convinced her to go out one night, and the rest, as they say, is history. 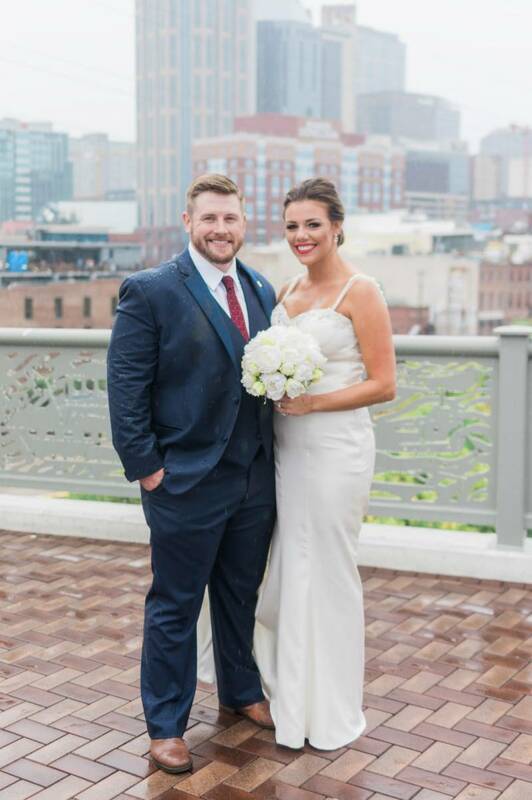 Both of Alexa and Zack's family are full of military, and Alexa says that her one rule was "no soldiers," but the two of them met and dated for three months, and then Zack was deployed to Afghanistan for 9, and they both waited. 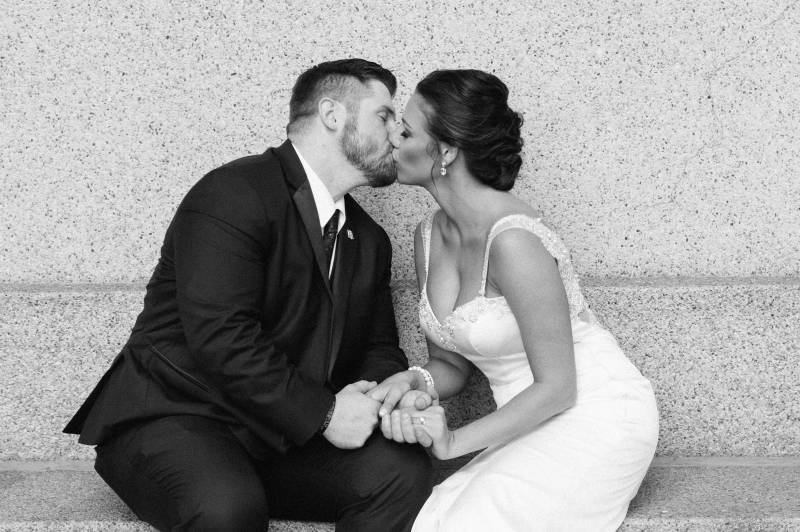 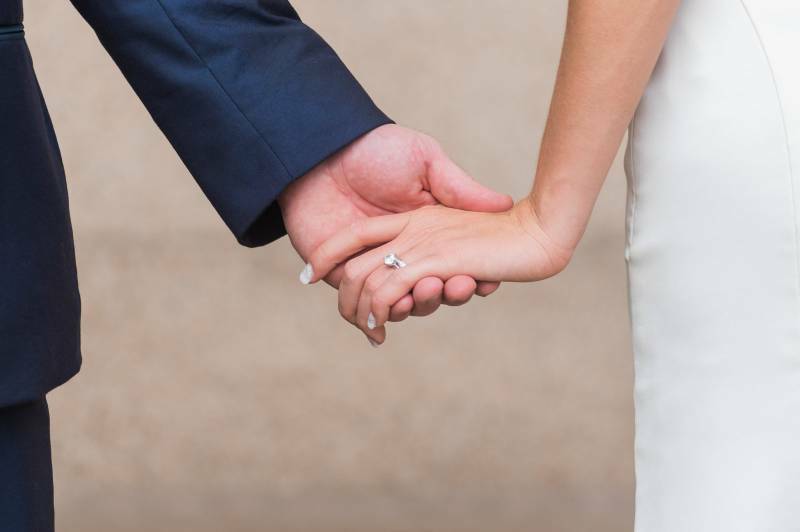 The wonderful ending to this tale of love and loyalty is this: "When I got home," Zack says, smiling, "I asked her to marry me." 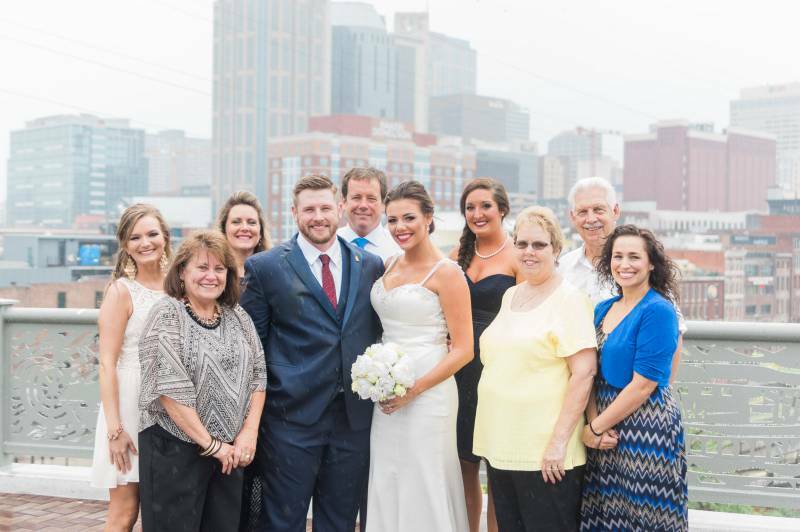 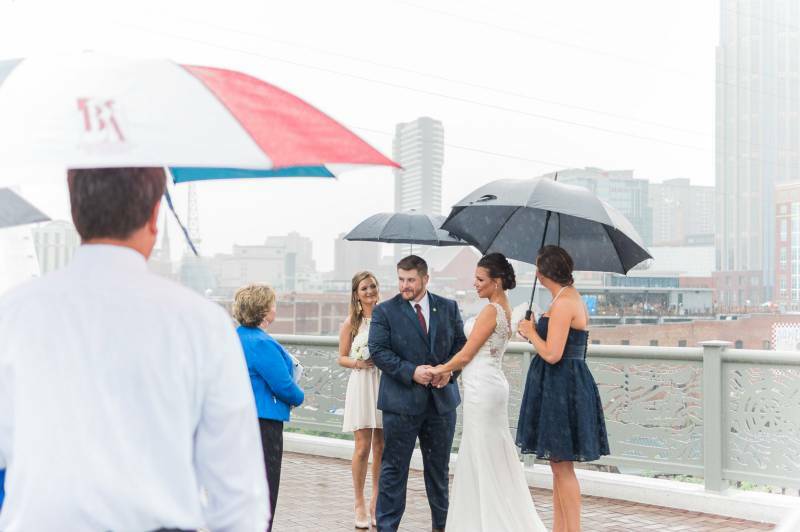 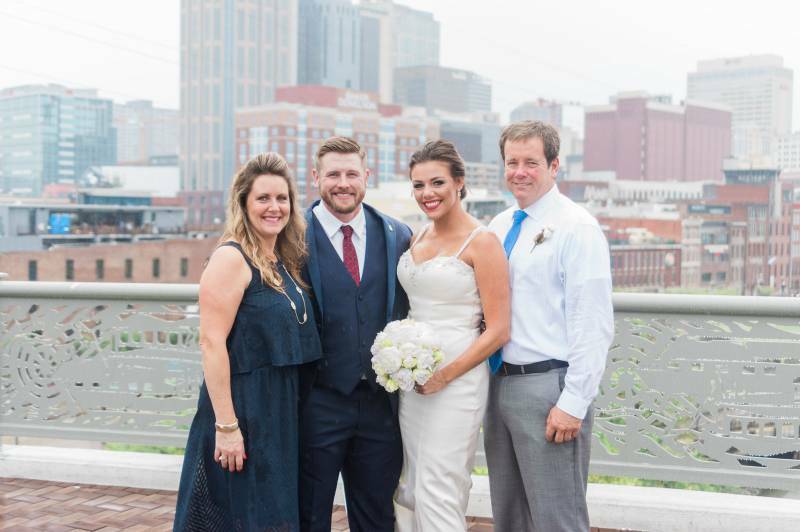 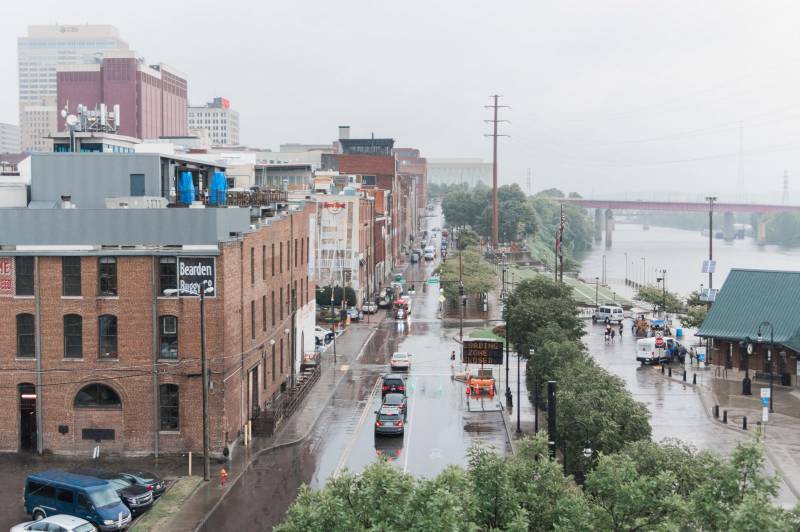 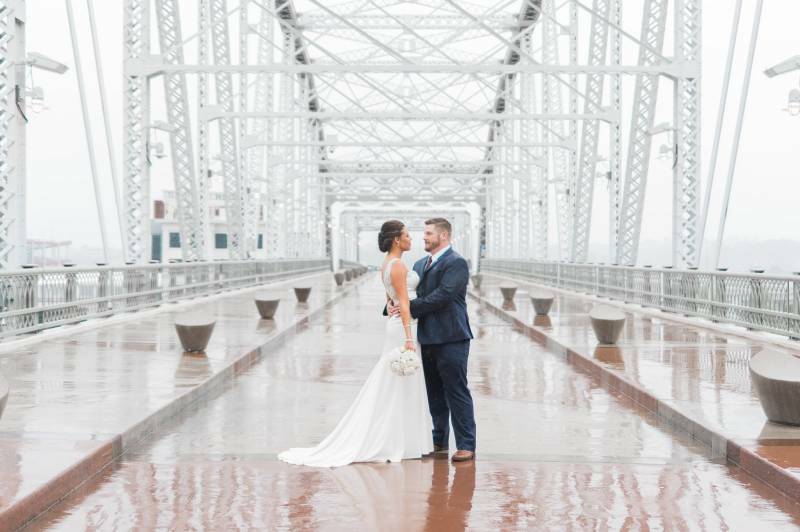 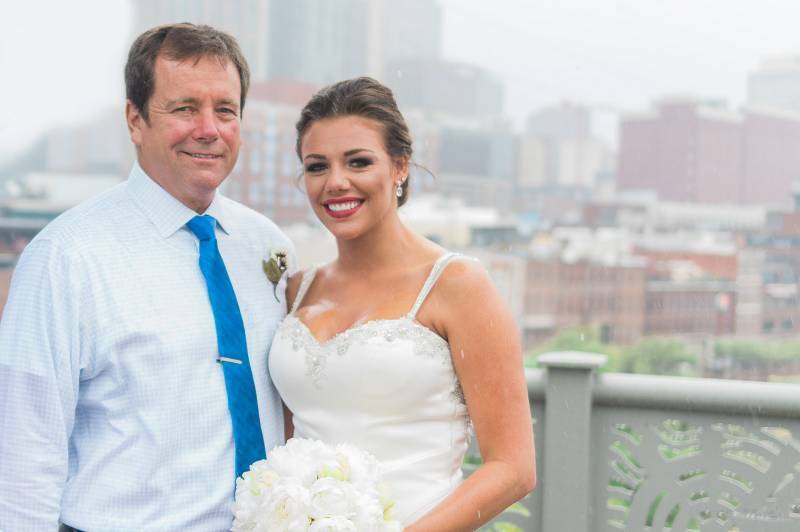 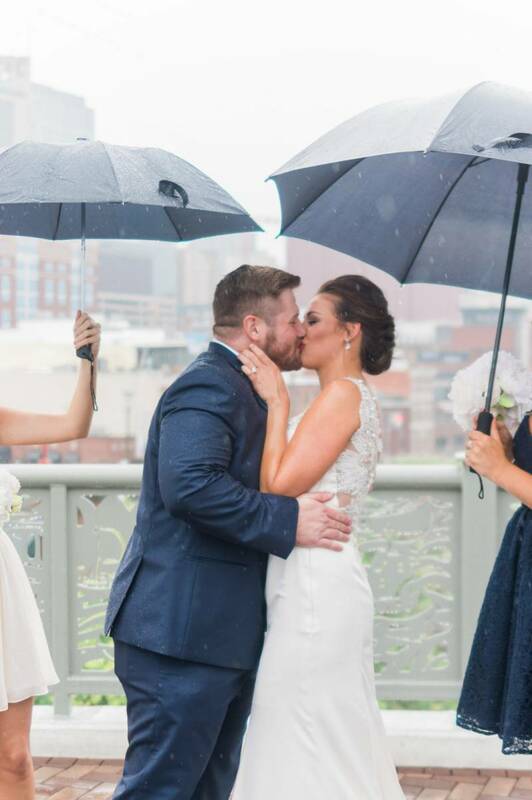 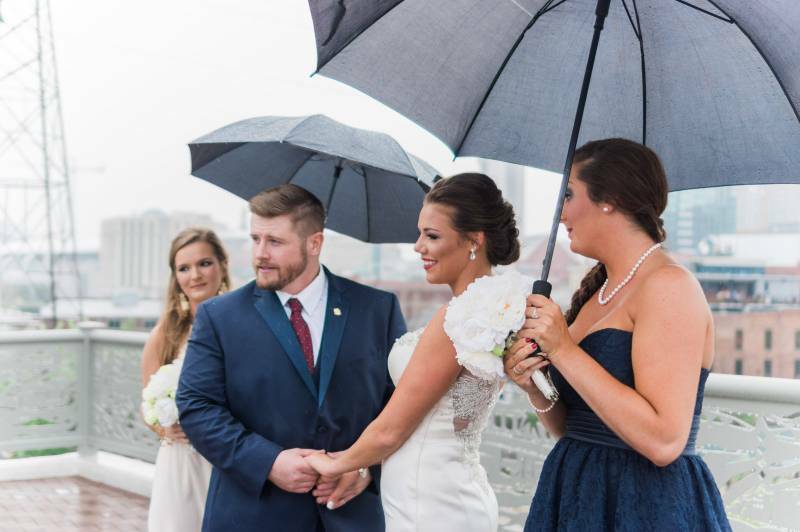 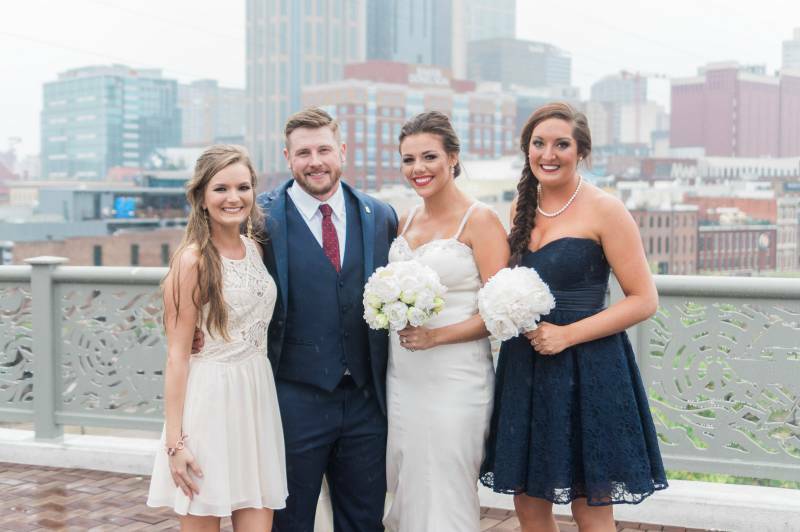 From the photographer, Dixie of Lion & Lark: It was pouring rain in Nashville the day they got married, but the two of them were all smiles standing under umbrellas on the Cumberland River Pedestrian Bridge surrounded by a small group of close friends and family. 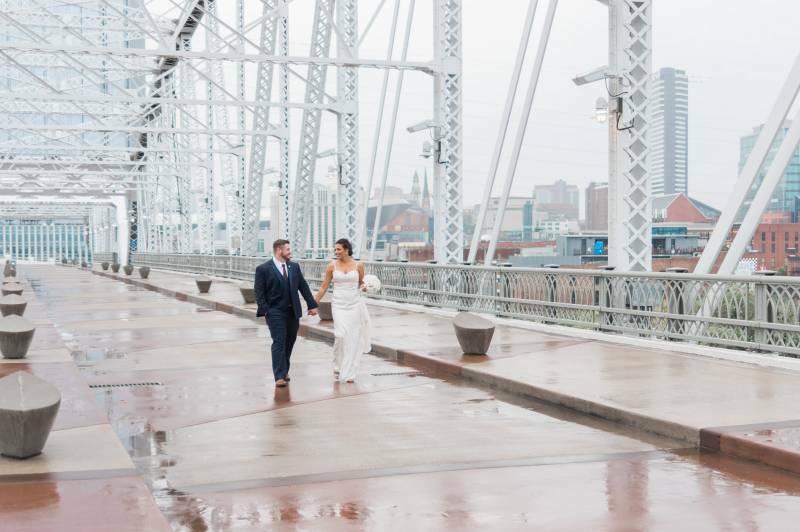 They had come from Louisville, Kentucky, though, and there was no going back. 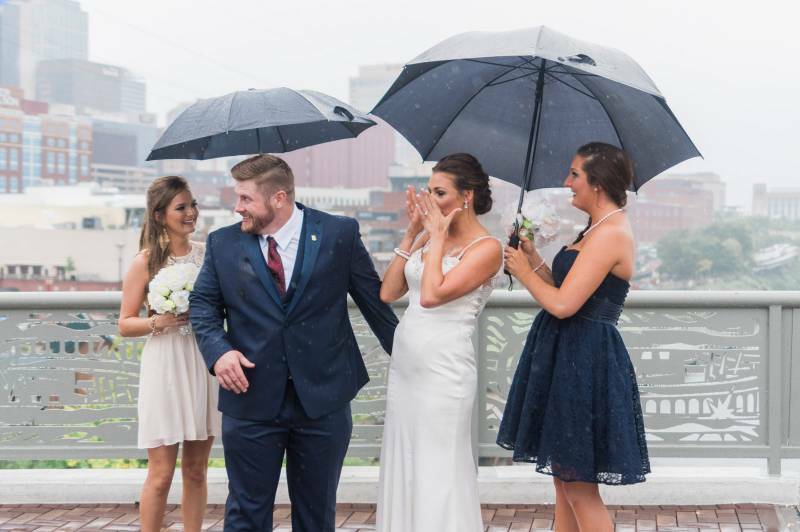 And the weather didn't dampen their spirits one bit. 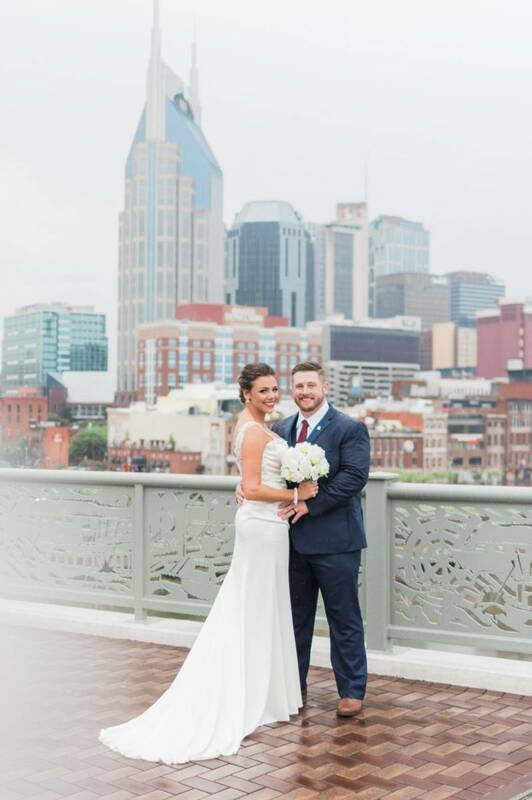 Free outdoor venues, as well as DIY flowers made this elopement both exciting and budget-friendly! 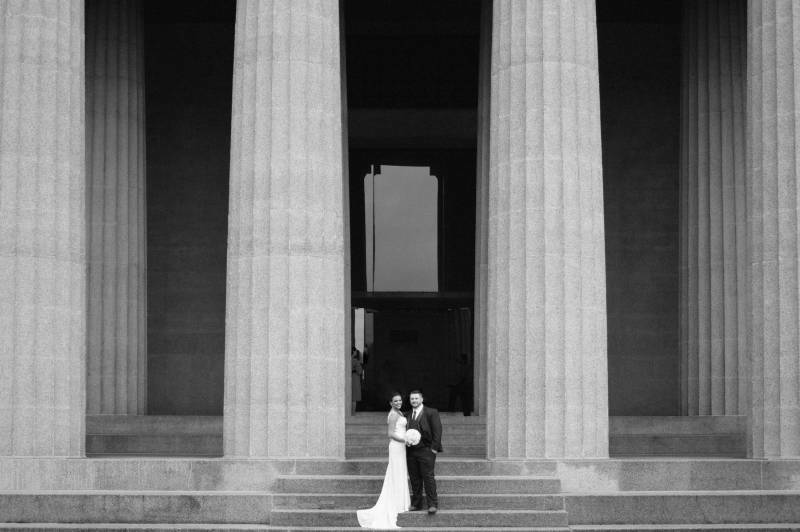 Oh how I love a sweet and simple wedding! 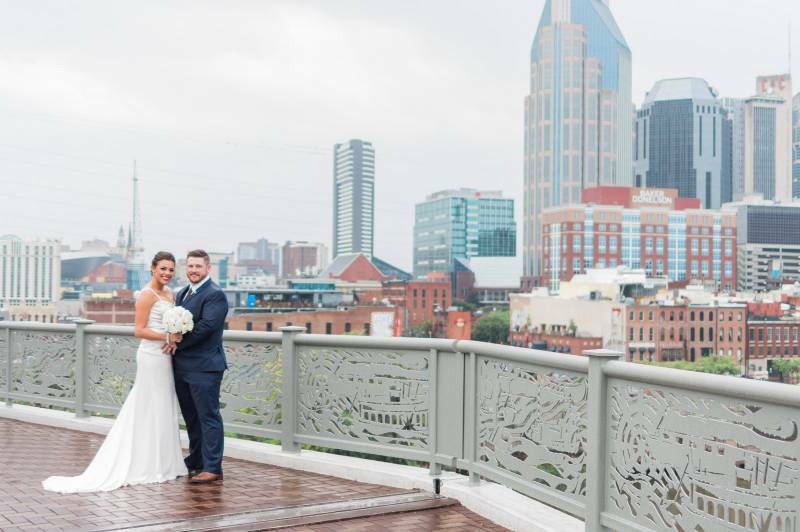 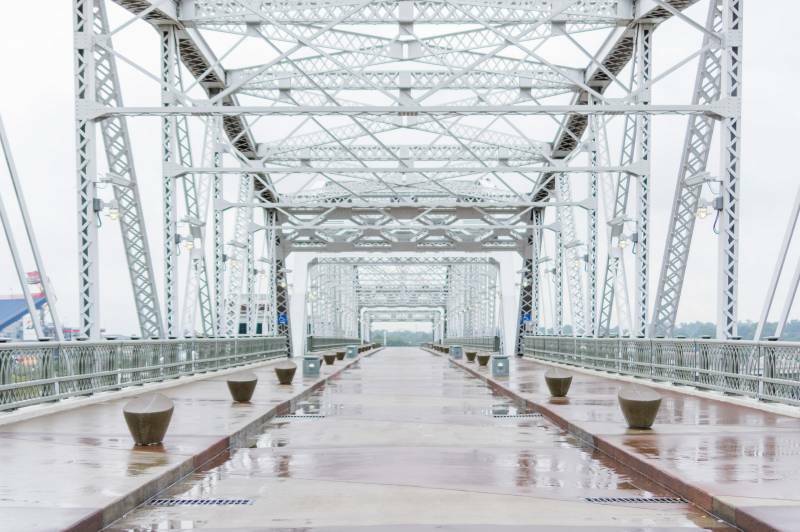 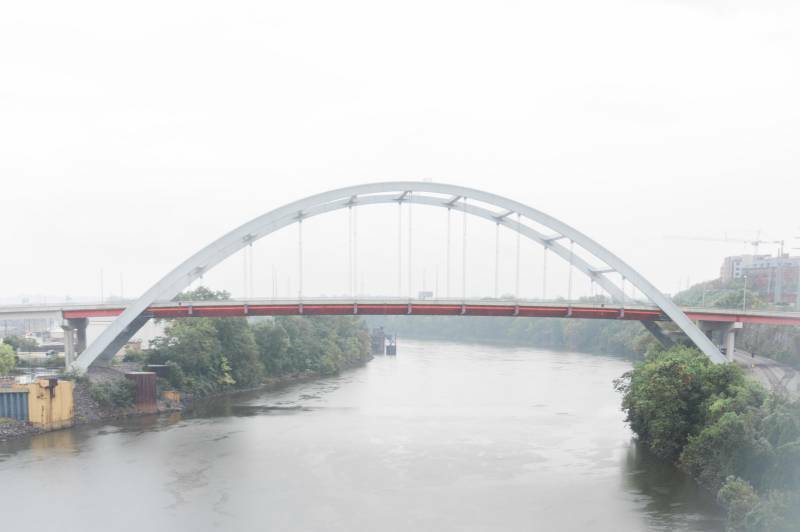 Especially this elopement on the Pedestrian Bridge in Nashville, TN. 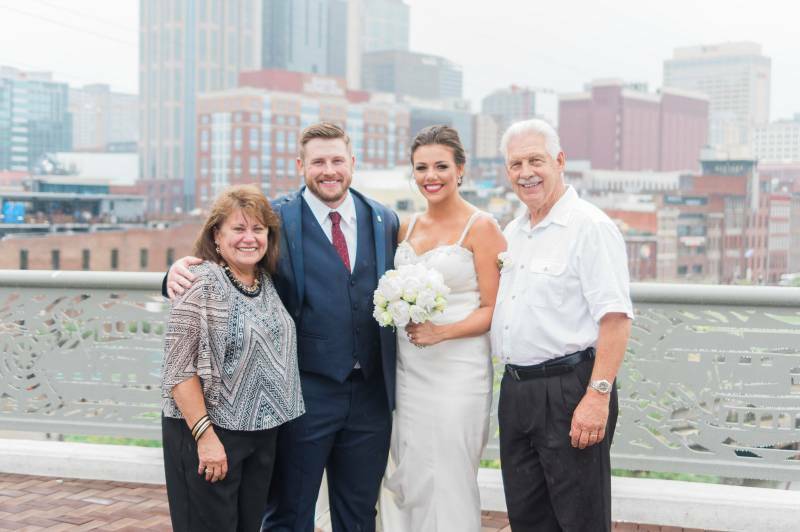 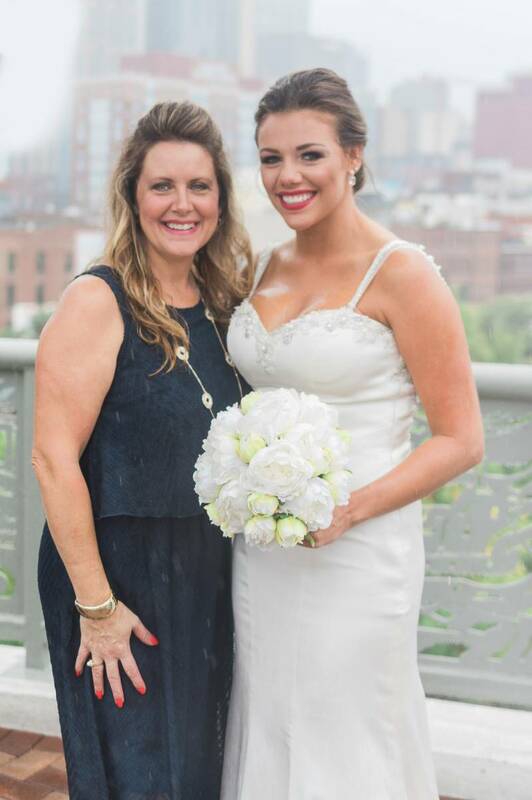 Thank you for sharing this day with us, Dixie! 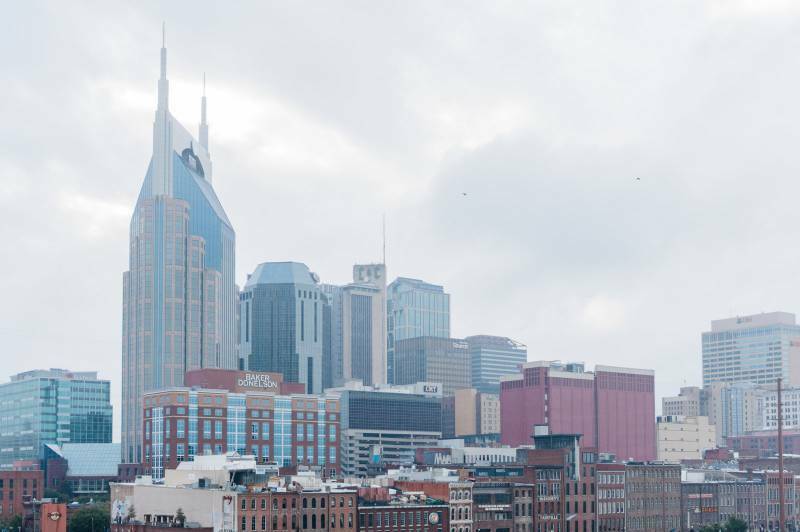 You can check out more on Lion & Lark online. 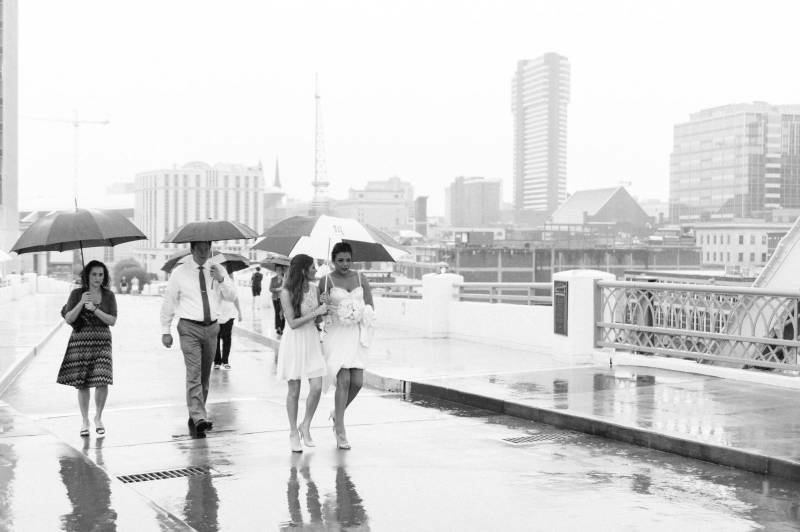 And also be sure to follow Dixie and her work over on Instagram!